Credulous geeks have poured over $130,000 into a fantastic food replacement named "Soylent," a substance whose creators aim to "free your body" from the need to eat solids ever again. The ludicrously ambitious and suspiciously under-skilled Soylent Corporation announced its crowdfunding campaign on Tuesday and within hours had apparently taken in over a hundred thousand dollars worth of pre-orders for its magical "default meal" gunge. Soylent's inventor Rob Rhinehart claims in a promotional video for the nutrient goo that he's been living off of Soylent for the past three months and has "never been healthier." Cooking was originally developed to make it easier to extract nutrients from food, Soylent advances this concept even further by providing all the calories and nutrients the human body requires for optimal function and refining them into their purest form, we also added beneficial extras such as antioxidants, probiotics and nootropics. It's everything the body needs with no toxins, no allergens, no carcinogens, no waste - and it's delicious! Though much of this sounds risible and ever-so-slightly dangerous to this kale-chewing hack, at the time of writing over a thousand geeks had poured money into the startup to get the chance to live off of the stuff. (We've asked and Soylent told us they would be happy to discuss a Reg trial, stay tuned – Ed). The gloop's ingredients include carbohydrates, protein, fat, cholesterol, sodium, potassium, chloride, fiber, calcium, iron, phosphorous, iodine, magnesium, zinc, selenium, copper, manganese, chromium, molybdenum, vitamins A, B6, B12, C, D, E, K, thiamin, riboflavin, niacin, folate, biotin, panthothenic acid, lycopene, omega-3 fatty acids, ginseng, gingko biloba,lutein, alpha carotene, and vanadium. "If you want to make Soylent for yourself, be very careful. We're not making pie here," Rhinehart cautions in a post discussing the ingredients. 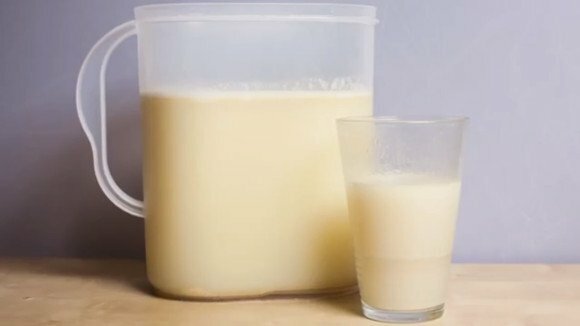 Soylent has come in for a massive amount of criticism since Rhinehart first revealed to the world that he had been trying to live off his self-designed sludge, and in a blog post he tackles some of the more frequent criticisms. 1) The company makes claims that are so grandiose they seem absurd: "Soylent is perfectly balanced and optimized for your body and lifestyle, meaning it automatically puts you at an optimal weight, makes you feel full, and improves your focus and cognition,"
2) None of the people listed on the company's website appear to have a strong background in either biology, chemistry or even nutrition. While batting around the idea of a food-replacement smoothie we've had a range of responses, ranging from the bemused, to the angry, to the deeply skeptical, and even the hopeful: "This stuff would make it a lot easier for me to do school lunches," wrote one of our hacks. Waiting in line for hours and fancy some avocado on toast? Pathetic!